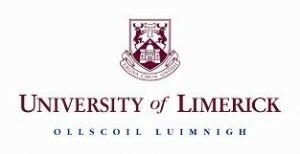 The University of Limerick has more than 15 years of experience in developing and delivering blended and distance learning programmes. There are currently around 50 distance, part-time and blended learning courses on offer. In recent years, there has been a move towards e-learning, both for fully on-line programmes (two fully on line MSc programmes) and blended learning (more than 15 blended learning programmes using on-line delivery). In EUCERMAT the University of Limerick is in charge of E-learning activities and innovating pratices for blended mobility.